Get the grime off your windows with a professional cleaning of up to 15 exterior residential window panes. We all love clear, streak free windows, but the work to get and keep them clean - Not so much. 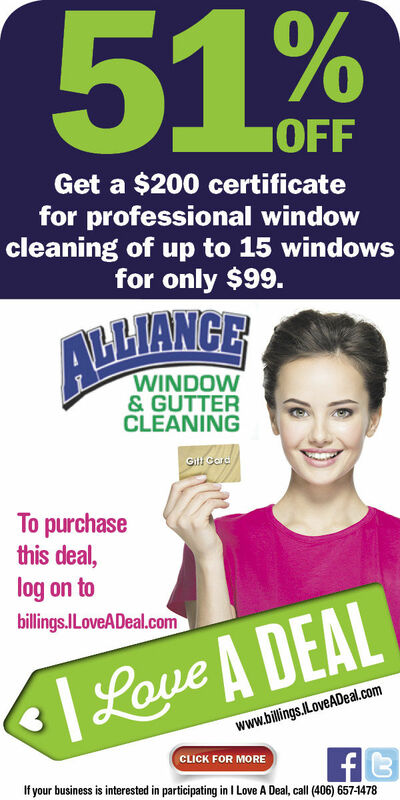 Grab this deal and see how our fast and reliable cleaners can leave your windows crystal clear. You are receiving this message because your email address has been registered with The Billings Gazette. Click here to unsubscribe [-EMAILADDR-] from this list.